Sky has confirmed a 9.1% increase in its line rental charges, becoming the latest internet service and pay TV provider to increase prices this year. It's part of a two part increase in prices, taking place in March and April 2017. Days after BT confirmed increased prices for broadband, telephone and the end of free BT Sport for BT TV subscribers, Sky has, for the first time since 2015, announced increases to its line rental costs. Effective 1st March 2017, but already advertised to users signing up to Sky on their website, the new line rental charge matches BT's at £18.99 a month, up from £17.40. This means the combined broadband and line rental price will increase, with standard pricing for broadband starting at £28.99, excluding introductory and retention deals. Then, on 1st April 2017, further increases take place when the phone call connection charge increases from 16.9p to 19p. Non-inclusive UK landline calls increase from 11.5p a minute to 12.54p a minute. Non-inclusive calls to mobiles increase from 19.35p per minute for calls made during the day and 14.25p per minute for non-inclusive UK mobile calls made during the evening & weekend (previously 11.5p per minute any time of day). Mid-contract price rises give Sky customers the opportunity to exit their contact penalty-free. 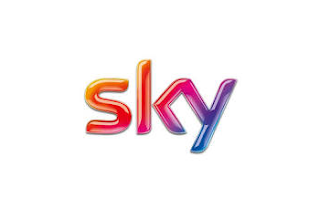 In the meantime, Sky owned Now TV may offer cost conscious customers a slightly cheaper way of accessing Sky's services via its broadband, phone and TV bundles. However a currently rather vague message on the Now TV site indicates UK calls of up to an hour to 01, 02, 03, 0845, 0870 and UK mobile numbers will be see changes to pricing from 1st April 2017, presumably in line with the increases at parent company Sky. UPDATE: Sneaked in among the price change documentation is notification that those on old ('legacy') Sky TV packages will also have their monthly subscription costs increased as of 1st March.